The Football App updated: now includes Euro 2012! 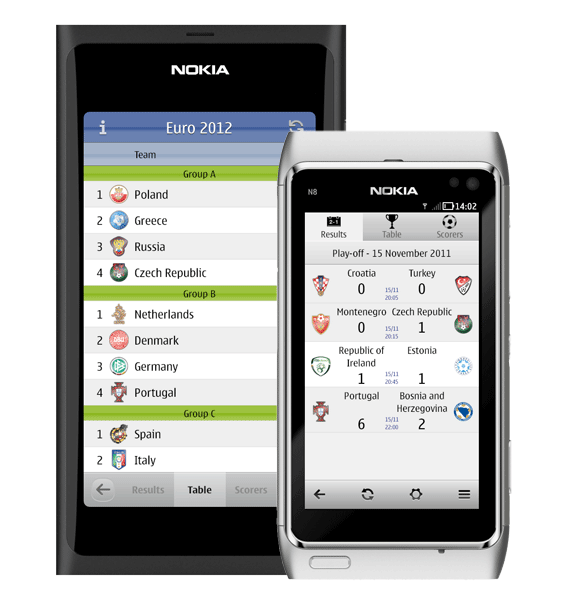 A new update for The Football App was just published on the Nokia Store: now the app includes all the Euro 2012 matches and standings! The update is available for both Symbian and MeeGo.